Camlot’s recollection raises important questions surrounding the implications of remediating a comprehensive collection of documentary audio material and engaging with it in a digital environment. In approaching any live event, literary or not, it is important to understand that the ‘event’ does not exist at all, but is rather a material production brought into existence through time-capture media technology, a digital facilitator of human memory. Indeed, when ‘reading’ historical audio, one must consider the social, institutional, and technological frameworks that inform the act of listening in a digitally remediated setting. In other words, we must ask ourselves, “What exactly are we listening to” and what structures -past and present- are informing our experience? (Camlot) In his introduction to Phyllis Webb’s reading on November 8th, 1966, Roy Kiyooka, one of the event’s organizers, provides a sematic contextualization of the Poetry Series by describing how it was intended to function as part of the North American literary scene. While the Poetry Series may not have privileged one particular school of poetry, its organizers were nevertheless gatekeepers of an institution. Kiyooka and the other Poetry Series organizers (George Bowering, Howard Fink, Stanton Hoffman, Wynn Francis, and Irving Layton), who were well-know poets themselves and professors in Sir George Williams University’s English department, were authorities who determined which poets would be invited to read in the series. According to Camlot, the Poetry Series was, at least in part, envisioned as an instrument “to define a national Canadian literature in relation to American poetics, as a platform for the performance of contending definitions of modern and avant-garde poetic practice, and as a site for developing models of artistic community” (2012: 28). It is not surprising that most of the poets who read in the series, including Bowering, Layton, and Kiyooka, if they weren’t already recognized and celebrated as cultural icons, went on to have significant careers as scholars and writers, and many are considered today to be canonical figures in North American postmodern poetry. Margaret Atwood, Allen Ginsberg, George Bowering, Robert Creeley, and Dorothy Livesay are just a few of the writers invited to read in the series who continue to be anthologized and included in post-secondary curriculum. Certainly, whether or not the organizers or invited writers were aware of it at the time, the series was a canon-building event, facilitating what was already an ongoing organization of American and Canadian schools of poetry, including such groups as the Beats, San Francisco Renaissance, Black Mountain, New York School, and TISH, a Canadian poetry collective. Of course, the role of organizers in determining which poets would be invited to read in the series is only one example of how institutions assign meaning to poetry’s live performances. Artists themselves have cultural authority, which the value of their spoken words depends on. According to Jacqueline George, “[t]he success of the public reader of literature relies on a blending of feeling and reason that [...] requires imaginative work on the part of an increasingly participatory audience” (2009: 377). Reading deeper into George’s statement, it might be suggested that the ability to convey authority and inscribe meaning determines, at least in part, the success of a public reader of literature. So what happens to this ‘success’ when a poet’s intended audience is no longer present to confirm and reflect his or her agency? Asked differently, what happens to poetic authority when a poetry performance is recorded, deposited in a university archive, digitized and reformatted for re-presentation in a digital environment? Do poets maintain agency when they are no longer physically present to convey it, when their voices re-sound prosthetically, when their audience is no longer the one that was originally intended? Camlot states that “the trope of apostrophe is automatically literalized [...] in a live performance” (2002: 282), and that “[t]he confusion surrounding apostrophe seems to lie, in the broadest sense, in the issue of audience. Who is listening in the first place, and who is being asked to listen subsequently, when the poet turns away from the first addressee to address another?” (2002: 277) In beginning to unpack Camlot’s inquiry, an equally important question might be: where are these people speaking/listening, and what happens when their voices are deposited in new and unintended spaces? In approaching any live event, literary or not, it is important to understand that the ‘event’ does not exist at all, but is rather a material production brought into existence through time-capture media technology, a digital facilitator of human memory. It is clear that the organizers, poets, and audience members were the officials who made the Poetry Series an important event. Less clear, however, is how this particular structure changed over time and through processes of remediation. As Christine Mitchell rightfully observes, “the poetry reading’s phonic and linguistic significance are buoyed by its relative absence as an institution, but only so long as it remains unacknowledged that it is tape (and subsequent media and archival translations) and its operators that institutionalize poetry readings” (29). Indeed, when one turns to the Poetry Series to mobilize or interrogate theories of performance, or to investigate the literary significance of contemporary North American spoken-word poetry, he or she is reminded of the ephemerality of the live event, of which we are left traces that are of a much different nature than the period in history from which they were rendered. Thus, the question of who belongs to the art world becomes something different, and the same glaring questions arise: How is meaning assigned to historical events when they are recorded, digitized, curated, and displayed in an online digital archive? Who are the new members of the art world and what is their relationship to the organizers, poets, and audiences that experienced and inscribed the event with meaning firsthand? What does it mean to remediate or re-produce a structure of listening? Indeed, the Poetry Series recordings are inseparable from the technology that produced them -the material presence that made it possible for a team of literary scholars to investigate a moment in post-modern North American poetry. The series tapes are a material embodiment of the relationship between page and performance. Citing Peggy Phelan, Christopher Grobe states that “performance’s only life is in the present. Performance cannot be saved, recorded, [or] documented”. (1959: 216). George goes on, however, to revise this statement and suggest that “[i]f we lose the intimacy of the connection between literature and performance, we diminish something vital in and between them”. (1959: 216) To recover this something vital, Grobe “[challenges] the notion that there exist two such pristine and separate realms as print and performance”. (1959: 216) To further complicate Grobe’s binary, one might add a third media realm, that is, the reproduction of poetry (print) performance such as the collection of audio housed in the SpokenWeb digital repository, an online re-presentation of archived documentary sound recordings that speaks to “the ways media bring performances into material existence and literary circulation”. (Mitchell: 2) Indeed, mediality has made this particular digital archive of poetry sound recordings possible. The SpokenWeb corpus is “a form in which the medial and the literary are materially conjoined”. (Mitchell: 1) While the Poetry Series as live event is steeped in a cultural history that provides new ways of looking at Canadian poetry and institutional practices in the 1960s and ‘70s, as Camlot and Mitchell have discussed at length, the material traces found in the SpokenWeb digital archive, which are tethered in multiple directions between past and present, like a “tape [that] unravels along multiple trajectories at once” (29), offer a unique position from which to investigate the ways that sound technology has affected the way we ‘read’ spoken-word poetry. Now the same sample after a reverb effect has been applied using Audacity, an open-access audio editing program. Duncan’s voice (or its mechanical reproduction) is easily manipulated: pitch, tone, volume, tempo, speed, and equalization are just a few effects that can be applied with the click of a button, (illustrating the extent to which the recorded human voice (artificial, material) can be manipulated. This should not suggest that it is the act of recording that renders the human voice artificial. Like reading, speaking and listening are also practiced activities that can be manipulated at will. One can wad their ears with cotton to mute sound, reposition their body in relation to its source, or remediate what he or she is listening to by using a speaker’s words for purposes of their own imagination. With this last example in mind, it might be argued that speaking and listening are in fact mediating by nature – both acts depend on the space between mouth and ear (microphone and speaker) to be brought into existence. Still, the listening experience of someone present at a live event will be much different than that of one listening after the fact. Indeed, the only thing authentic about the human voice is its trajectory toward silence. Within that trajectory, sounds are best understood as reflections of the structures that shape language. To access and reveal these structures, as Camlot and Mitchell have demonstrated, we must pay close attention to what we are listening to when we encounter historical documentary sound recordings. In his essay titled “The Three Listening Modes,” Michel Chion defines Pierre Schaeffer’s model of “reduced listening” as “the listening mode that focuses on the traits of the sound itself, independent of its cause and of its meaning. Reduced listening takes the sound – verbal, played on an instrument, noises or whatever – as itself the object to be observed instead of as a vehicle for something else”. (2012: 50) One benefit of sound recording technology is that it allows for the “fixing of sounds” that permit users to interpret “the fine details that particularize a sound event and render it unique”. (2012: 50-1) When listening to Duncan’s recording vis-à-vis the SpokenWeb digital interface, listeners become absorbed in what Chion calls an “acousmatic situation” -that is, one “wherein [the listener] hears the sound without seeing its cause”. (2012: 52) This rift between cause and effect creates space for digital archivists to give context to what cannot be easily made sense of through listening, as well as provide supplementary digital content (photographs, newspaper articles, etc.) to the recordings themselves. By making visible what would have been transparent to the scholarly community, that is, by being “ready to interpret [the Poetry Series recordings] in terms of what and how [they] mean,” the SpokenWeb project has made contributions to both the scholarly community and what Danto calls “the common culture of [our] time”. (2010: 41) Until the Poetry Series tapes were discovered, archived, reformatted, and re-presented online, they were inert documentary material. Just as the Poetry Series did not become a literary artifact until the tapes were officially deposited in the university archive, the recordings did not become literary content until they were listened to and interrogated. This interrogation is an ongoing, self-conscious process that has undergone a series of transformations. The SpokenWeb team has populated its site with a number of tools to facilitate user interaction and contextualize the Poetry Series. The first of these is transcripts, which are tethered to the audio tracks, thus allowing users to ‘read’ the audio file and navigate its content. In addition, SpokenWeb has made available: poet bios; bibliographies of the works a poet read from; information about what projects (if any) a poet was working on around the time of the reading; a poet’s connections to Montreal; and lists of references used to generate context for the poet and his or her reading. Current practices in digital archiving such as the one embodied by SpokenWeb disrupt(s) the boundaries between time and space and affects how the bodies that occupy that time and space generate meaning. According to Emily Thompson, when we are listening to a poetry sound recording made in the 1960s, what we hear when a cigarette is lit or an audience member laughs is not space itself but the ghosts of space emerging through the technologies that both produced and sought to silence them. (2012: 123) Culture, as Thomson suggests, “is inseparable from technology itself”. (2012: 123) So when one sits down -on a bus, in the subway, on a park bench, in the classroom- to listen to a digital re-presented audio recording, he or she meets it -merges with it- and engages in an exercise of imagination and creativity. Listening is a productive act. “The history of acoustics,” writes Thompson, “intersects with the history of the urban environment”. (2012: 123) While the sounds made manifest through audio recording are indeed prosthetic (voice is not voice, but sound), the intersection between production and consumption gives way to (or returns to) kinesis. As the human body senses its surroundings, listening, whether to live or recorded sound, becomes just one constituent of how the listener’s physical presence assigns meaning to recorded audio. Just as an audience member helps shape a live event, the digital archive user and his/her surroundings represent a physical presence that informs how the recording is interpreted. In her reading on January 24, 1969, Muriel Rukeyser asks her audience to consider poetry. One might also wonder why we gather to listen to poetry readings; or, better still, why we sit alone at our desks and listen to digitally re-produced versions of them. In her essay titled “Radio and the Imagined Community,” Michelle Hilmes observes how radio broadcasting is a “machine for the circulation of narratives and representations that rehearse and justify the structures of order underlying national identity”. (Sterne, 2012: 352) The digital audio archive might be thought to perform a similar kind of rehearsal and justification. It too creates space for the dissemination of cultural narrative – but perhaps a more specific or culturally narrow narrative than that provided by radio. As mentioned, however, the archived historical materials that have been remediated and made available in the SpokenWeb digital archive, before they were contextualized and narrativized, were meaningless, a collection that needed to be ‘worked’ to find out exactly what was on the reels themselves -to find out what the story was. Before being digitized the tapes were a material manifestation of a series of events silenced without an analog tape player. Before being converted to MP3 and contextualized -dates, names, venues- the materials were still rather meaningless, at best the aural resonance of what might be thought of as an imagined community -that is, a group of unknown people who gathered to read their poems in an unknown setting to an unknown audience. Of course, we know now that the Poetry Series was a significant event because it was organized and carried out by institutional forces that helped frame it as culturally significant. But this information (context) and the significance it carries is not available in a comprehensive way (although some contextual information is certainly available in the recorded audio); nor is it generated by the university archivists who collected and stored the reel-to-reel tapes. Rather, it is the digital archivist’s job to contextualize the archived materials and re-present them in the public sphere. As Hilmes suggests, just as radio broadcasting brought “the public into remote private spaces, as to the household, the ill, and the infirm,” SpokenWeb, through the access and mobility afforded by modern sound technology and the internet, has resituated the Poetry Series into contemporary public and private spaces; and, just as space assigns meaning to the live event, the private and public spheres into which the SpokenWeb sound recordings are listened to inform our understanding of what it means to engage with poetry’s performances. 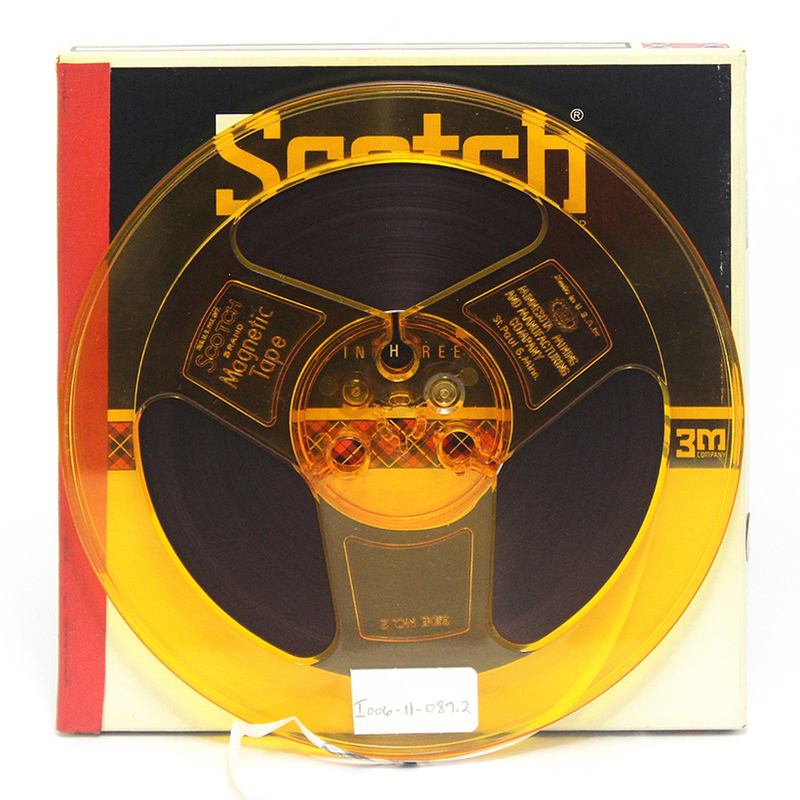 The SpokenWeb digital archive is an example of how sound recording technology has mobilized and therefore greatly broadened how we listen to the past. Practices in the digital re-presentation of poetry’s sound recordings allow listeners (audience members) to transcend institutional walls by choosing exactly when, where, and how they listen. According to Shuhei Hosokowa, access and mobility allow those who are interested in poetry performance to move away from “territorialized listening [and toward] a de-territorialized listening, [in which] every sort of familiar soundscape is transformed by that singular acoustic experience coordinated by the user’s own ongoing pedestrian act, which induces an autonomous ‘head space’ between his Self and his surrounding in order to distance itself from -not familiarize itself with- both of them [...] It enables us to move towards an autonomous pluralistically structured awareness of reality, but not towards a self-enclosed refuge or into narcissistic regression”. (Hosokowa, 2012: 112) Still, even while projects like SpokenWeb allow users to experience and investigate specific moments in literary history that were unavailable before analog tape recording and digital reproduction were introduced to universities, the live poetry reading continues to be a popular medium for literary engagement. Today, it is hard to imagine a university institution that does not host a poetry reading series. Returning to Rukeyser, “Apart from all critical standards, all criteria, all faculty and institutions, apart from any of that [...] why do people come and listen to poems?” (1969). Jean-Luc Nancy suggests that poetry performance situates audience members at the “edge of meaning”(2007: 6); but with no tables or chairs, podiums or microphone stands, how are we to situate ourselves and identify our relationship to the sound events that stream through our headphones? What does “the shared space of meaning and sound” (2007: 6) look like in the digital realm? George puts it another way: If “the art of reading is cultivated by the imitation of naturalized passions that correspond to the manner of the author or character with whom the text originates, then what is the relationship between the reader [or listener] and the text at hand [i.e. a digital manifestation], if not that of actor and script?” (2009: 381). Camlot advances this question in his essay on the work of American poet David Antin, whose ‘talk poetry’ “of the past twenty years has explored with great ingenuity [the] apparently defining characteristics of poetry with the ultimate aim of dissolving each one in its turn”. (2002: 277) Like Antin’s talk poems, which are [artifacts that emerge] first as ephemeral speech that is simultaneously rendered from the oral into the ‘literal’ by a tape recorder [...] and then further fixed into the ‘literal’ as opposed to the oral, when Antin later transcribes the talks and reworks them onto the printed page” (2002: 277), SpokenWeb, by remediating ephemeral speech and making it available on a digital ‘page,’ challenges the ways in which we categorize literary works and asks us to rethink our role, as audience members, alongside the authorities and institutions that assign meaning to cultural objects and events. Hannigan, Lee. 2015. “Institutions in Sound: Re-mediating the Sir George Williams Poetry Series for Re-presentation in the SpokenWeb Digital Archive”. In Littérature et résonances médiatiques : nouveaux supports, nouveaux imaginaires . Cahier ReMix, no. 5 (01/2015). Montréal: Figura, Centre de recherche sur le texte et l'imaginaire. Available online: l’Observatoire de l’imaginaire contemporain. <http://oic.uqam.ca/en/remix/institutions-in-sound-re-mediating-the-sir-george-williams-poetry-series-for-re-presentation>. Accessed on April 22, 2019. Benjamin, Walter. 1968. The Work of Art in the Age of Mechanical Reproductibility. Jason Camlot. 2003. Early Talking Books: Spoken Recordings and Recitation Anthologies, 1880-1920. Jason Camlot. 2013. Beyond the Text: Literary Archives in the 21st Century. Jason Camlot. 2012. The Sound of Canadian Modernisms: The Sir George Williams University Poetry Series, 1966-1974. Jason Camlot. 2002. Talk Poetry as Genre: David Antin, Apostrophe, and the Institution of Poetry. Chion, Michel. 2012. The Three Listening Modes. Duncan, Robert. 2010. Robert Duncan at SGW, 1970, Part 1. Gitelman, Lisa. 2012. The Phonograph's New Media Publics. Grobe, Christopher. 2012. The Breath of the Poem: Confessional Print/Performance circa 1959. Kiyooka, Roy. 2010. Phyllis Webb at SGW, 1966 (with Gwendolyn MaCewen). McCorkle, Ben. 2005. Harbingers of the Printed Page: Nineteenth-Century Theories of Delivery as Remediation. Mitchell, Christine. 2015. Again the Air Conditioners: Finding Poetry in the Institutional Archive. R. Schafer, Murray. 2012. The Soundscape. Sterne, Jonathan. 2012. The Sound Studies Reader. Thompson, Emily. 2012. Sound, Modernity and History.